Once again, we have accompanied our preseason preview with an updated follow-up, this one appropriately in depth considering the magnitude of the matchup. 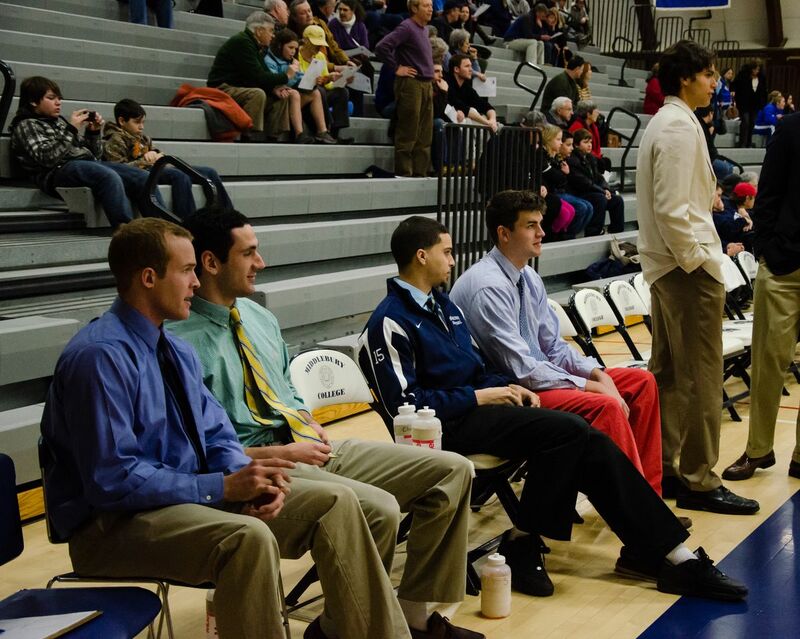 It seems like a lot of NESCAC observers are down on Williams this year and we aren’t really sure why. We saw this team play twice last season and they are bringing back a lot of talent. 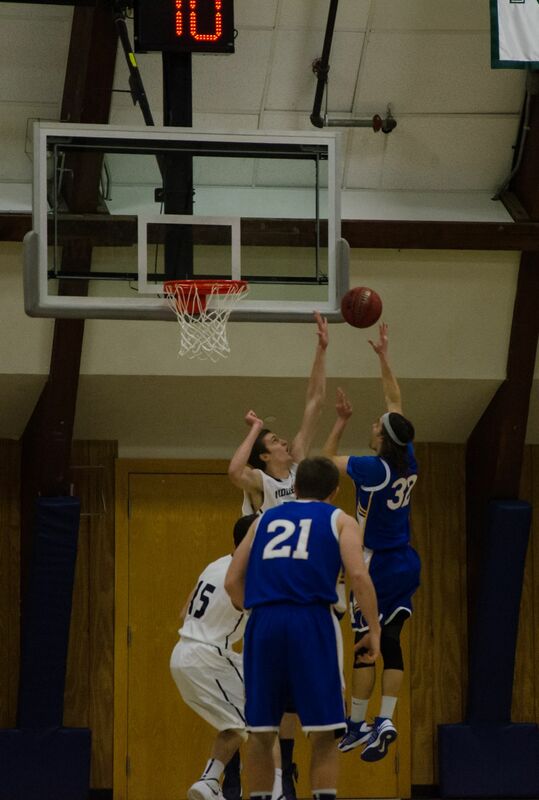 Michael Mayer, the Ephs’ 6’9” junior center, is an absolute stud. His 13.6 points in 20.2 minutes per game last year were the best scoring numbers of any NESCAC big man after Ryan Sharry, and his athleticism and post game put him in a position to take a big leap going forward. He will be joined by the best frontcourt supporting cast in the NESCAC: 6’4” junior Taylor Epley (11.0 ppg) and 6’7” sophomore Boston College transfer Ryan Kilcullen. The fact that these three will develop for another year together in the forward-starved NESCAC should terrify opposing coaches. And while the frontcourt has talent, the backcourt has experience in senior guards Nate Robertson (9.2 ppg, 3.3 rpg, 4.2 apg) and James Klemm (12.4 ppg, 65 3pm). In order to win this game, Middlebury will need Roberts, Lynch, and Jensen to play elite defense, with Kizel scoring at will on the other end of the court. We’ll take the Ephs in what could easily be the first not-close Middlebury loss in over two seasons. Saturday represents perhaps the biggest game of the regular season for the Panthers who have their first real test of the year in the Ephs (16-2) of Williamstown, Massachusetts. Just 100 miles of Route 7 divide the two campuses, which hopefully will allow a number of students to travel down to the game. Middlebury will appreciate all the help they can get against a supremely talented Williams team. This is, perhaps, the first time in three years that Middlebury has played against a more talented, more complete opponent. Of course Amherst fans will argue that their NESCAC Championship team last season that beat Middlebury twice in Amherst last year was more talented — and they might, might be right — but the 2011-12 Lord Jeffs certainly weren’t a more complete team than Middlebury was last year. This Ephs team, however, has two of the top four scorers in the conference in Taylor Epley (19.8 ppg) and Michael Mayer (17.1 ppg) and can beat teams both from the perimeter and in the paint. Williams ranks second in the NESCAC in points per game, first in field goal percentage, and first in defensive field goal percentage. Currently the #9 team in the nation at d3hoops.com, Williams’ two losses were both to Top 25 opponents, the likes of which Middlebury (still ranked #3) has not yet faced this season. And although Williams is coming off of a loss to Amherst, we would be surprised if they aren’t at full strength in front of their home crowd Saturday. If that is the case, it looks to us like Middlebury might not have much of a chance of remaining undefeated. The statistic that everybody sees first is win-loss record, where Middlebury (16-0) has the advantage over Williams (16-2), making them the ostensible favorites from that limited perspective. Many statistics beyond wins and losses, however, are far more valuable for the purpose of forward projections, and happen to point overwhelmingly south down Route 7 for this season’s favorites. In addition to leading the conference in field goal percentage offense and defense, Williams has (albeit slight) advantages over Middlebury in most important statistical categories, including field goal percentage (.516 to .511), free throw percentage (.763 to .724), points per game (82.6 to 80.7), rebounds per game (38.6 to 37.2), assists per game (16.4 to 16.1), and steals per game (6.3 to 5.8). Williams has put up those numbers against a group of opponents who have a remarkable 53 more collective wins than Middlebury’s opponents. Additionally, against their eight common opponents, Williams has won by an average of 10.4 more points per game than Middlebury (24.4 to 14.0). In other words, Middlebury has been consistently worse against common opponents, and hasn’t played a team near the caliber of those to whom Williams lost, so there is very good reason to think that if their respective schedules to this point had been reversed (i.e. if you changed a completely incidental variable), Williams would be the clear favorites heading into this game. Williams’ impressive numbers are the product of the best starting five in the conference. 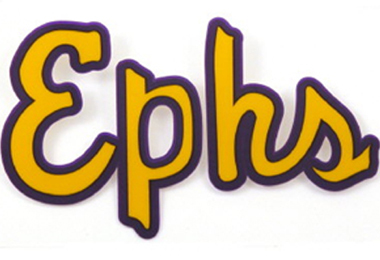 For the Ephs, it all starts with Nate Robertson, the 6’3″ senior point guard who runs the offense with great vision and reliable ball-handling. Additionally, the senior is surprisingly athletic and can drive by defenders and finish around the rim. Robertson’s complete style of play is reflected by his 7.3 ppg-4.7 rpg-4.8 apg-1.9 spg stat line, making him the NESCAC’s version statistically of his elder namesake, Oscar. And while Robertson’s 47% field goal shooting is very good, he is just two years removed from a 58% field goal shooting campaign, a reminder of his scarily efficient offensive potential. Next to Robertson is 6’3″ fellow senior James Klemm, a pure shooter who contributes 11.2 ppg on .511/.449/.958 shooting splits. Klemm’s spot-up shooting makes him a perfect complement to the offensive abilities of his teammates, and when he heats up from deep he can take over a game, as he did at Wesleyan earlier this month (19 first half points) and at Springfield in December (20 first half points). Alongside the seniors is 6’6″ sophomore Daniel Wohl (9.8 ppg, 5.4 rpg), a long athletic wingman who can score inside and out depending on the matchup. Wohl’s size and quickness make him a dangerous dribble-penetrator, and he has the scoring ability to boot, shooting 55% from the floor and 42% from deep. Those three would be the centerpiece of most teams, but for Williams, they are almost an afterthought considering the dominance of the starting front court of Epley and Mayer, who average a combined 36.9 points and 12.1 rebounds per game. Mayer stands at 6’9″ and has the best skill-set of any big man in the conference, with a combination of post-moves, driving, and spot up shooting that no other center in the conference can begin to resemble. Meanwhile he is often outshined by Epley (6’4″), the leading scorer, who has topped 30 points multiple times this season, and can score from everywhere on the court (50% FG, 47% 3PT). The junior lefty has a quick-release and range that extends several feet behind the three-point line, and Williams runs a lot of offensive sets that send him running around perimeter screens for a catch-and-shoot opportunities. Few teams have found a way to match up with him effectively this season. 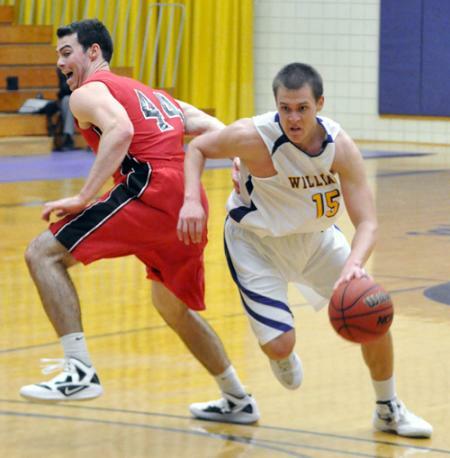 And while Williams depth has been a concern to some outside observers, they bring in three efficient big men in 6’6″ John Weinheimer (53% FG), 6’7″ Sean Hoffman (66% FG), and 6’7″ Ryan Kilcullen (53% FG), all of whom would likely start in most NESCAC frontcourts. When the season started, we picked this team to win the NESCAC because of their unmatched multitude of weapons, and their play this season has only reaffirmed that belief. Roberts had four blocks against Hamilton, and will need to continue to play at that level against Michael Mayer. Photo: Will Lones. Williams is a great team, but Middlebury has been the best team in the conference for most of the last five years and isn’t ready to give that spot up quickly. The Panthers will have to play like an underdog (i.e. play aggressive, coach aggressive), though, to pull out a win in Williamstown. Middlebury’s biggest advantage is that it has three great defensive players in Nolan Thompson, James Jensen, and Jack Roberts, who, when matched up right, can significantly mitigate the effectiveness of Williams’ top offensive threats. The easiest matchup decision is to stick Jack on Michael Mayer and play him more than his usual minutes (assuming he can stay out of foul trouble). Roberts’ length, athleticism, and one-on-one defensive skills make him as good of a matchup as there is in the conference for Mayer, as he showed last season with a dominating 5 block, 1 steal, 6 rebound performance in the NESCAC quarterfinals game that ended Williams’ season. If Roberts can step up once again and block or alter shots inside without sending Mayer to the charity stripe, it will go a long way toward stopping the Ephs offense. Thompson, Middlebury’s best defensive player, guarded Robertson last year, and it seemed like a good game plan–when Robertson struggles to bring the ball up or receive resets it takes the whole team out of sync. However, after watching Epley recently, it seems that Nolan’s smothering off-ball defense, especially on perimeter screens, might be exactly what Middlebury needs to stop the leading scorer. With Thompson on Epley, Jensen, the 6’6″ wingman, would make a lot of sense to stick on Wohl, as he is the only NESCAC defender outside of Willy Workman who can match Wohl’s combination of height and athleticism. That would leave Kizel and Wolfin on Robertson and Klemm, at least in the base defense, and would mean Peter Lynch, a starter, would likely play reserve minutes matching up mostly with Hoffman after Jensen’s first appearance off the bench. Again, this is a game that needs to be coached aggressively and against this long, athletic Williams offense, Jensen’s defensive value is more valuable than what Lynch brings as a post scorer. With Lynch and Merryman coming off the bench, the offense will gain firepower for those stints, but their value decreases with starter minutes because of the matchup. If Middlebury goes with this matchup-dictated game plan, it will be on Kizel, Wolfin, and Thompson to carry the offense. The guards have had success driving against Williams in the past, and might look to do so again. If Williams goes zone, as they have been in recent games, that trio and Merryman must beat the zone with dribble-penetration and passing to find open threes. Finding and making threes against the zone will be necessary if the opportunity presents itself, so the Panthers will need to show up dialed-in. Finally, Middlebury can’t afford to play inconsistently, as they have for much of the season. A slow start or a late-game slip might not have been fatal against lesser teams earlier in the season, but it will almost certainly be in a tough atmosphere against the talent and discipline of Williams. Tune in and watch online if you can’t make the game. This is as good as it gets, Middlebury and Williams, two top-ten teams, huge conference and national implications, and great players at every position. It’s going to be fun. Dylan Sinnickson would have been a huge part of answering for Williams’ frontcourt talent, but he is still out with injury, as are Nate Bulluck and Dean Brierly. 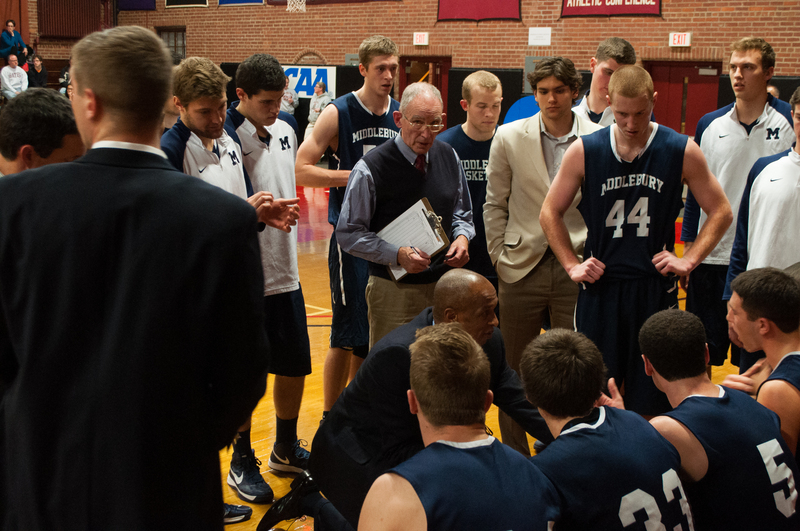 With none expected to play, it will make Middlebury’s bid for the upset that much tougher. Chris Churchill, Henry Pendergast, and Albert Nascimento will all likely be asked to play big roles in this one. This was written by Jeffrey Hetzel. Posted on Friday, January 25, 2013, at 10:50 pm. Filed under Men's Basketball. Bookmark the permalink. Follow comments here with the RSS feed. Post a comment or leave a trackback.